Braun is widely known for its electric shavers, but its beard trimmers are often considered as a second fiddle. 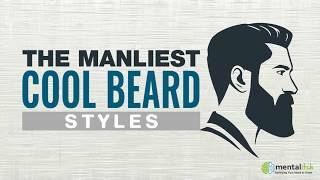 Despite this, a lot of men love its famous Cruzer beard trimmer, and that was a valid reason for the company to follow it up with a newer model, the Braun Beard Trimmer BT5090. We will see the good and also the bad things about this trimmer, and most importantly – we will see whether this is the right grooming tool for you. Is precision your top priority when trimming your facial hair? Well, actually, majority of men also want that. According to Braun, the Beard Trimmer BT5090 has the precision which is four times compared to that of the more famous Cruzer 5. So if you love to style your facial hair, this tool might be it. Despite its shiny metallic appearance, the Braun Beard Trimmer BT5090 is actually constructed from plastic and rubber. You may struggle to find the power button at first, until you find it on the underside of the unit. This is so unlike other trimmers where the power button is prominently located on the front. It comes with two “Click & Lock” detachable combs that provide with 25 settings for a more precise trimming. Precision comb – 1mm to 10mm with 0.5mm steps. If you would like to maintain some length in your facial hair and keep it clean and tidy, then this attachment will do the job. At the back of the comb is a precision dial which allows you to accurately extend the length between the comb and the blade. Hair comb – 10mm to 20mm with 2mm steps. When you want to have a skinhead look, use this comb to shave the hair from your scalp. You may also use it to shave thicker beards. Another unique feature that this model has is a detail trimmer in the front slide, which is called “Slide&Style” system. This feature allows you to style your beard in just a simple slide even while the comb is turned on. The hair comb may pose some issues. Compared to the excellent precision comb, the hair comb feels inadequate in its job of shaving and combing your hair. Since the teeth of the comb are made of plastic, the hair comb tends to bend as you slide it through your hair. While the trimmer ably cuts your hair, you may not find it a satisfying or an enjoyable experience. As for the blades of the BT5090, Braun boasts, “The trimmer blades are engineered to stay sharp for their whole life.” Which is quite true. The blade is made from stainless chromium steel and this means it will remain sharp no matter how many times you use the trimmer. The Braun Beard Trimmer BT5090 is completely washable which allows it to be rinsed in running water or be used for wet shaving. As for the handling and use, the Braun Beard Trimmer BT5090 is generally all right. However, releasing the detail trimmer can be jerky so it has to be forcibly pushed into position. We will hold off on giving this tool a final score until we can put up a video review. But overall – the Braun Beard Trimmer BT5090 is a very versatile and flexible trimmer. Despite the rather problematic hair comb, this is going to be a worthy grooming companion for a long time.